In this column for Press & Fold a collection of text fragments are constructed into a new narrative. 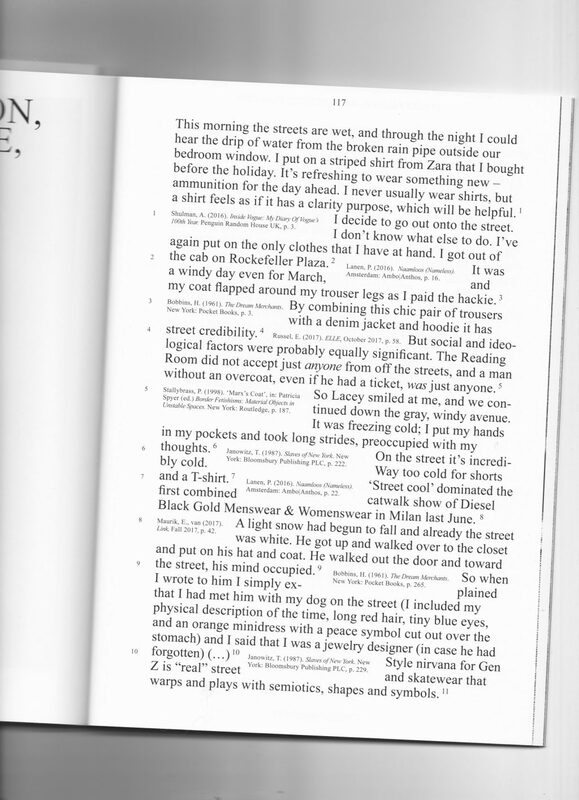 The text fragments, from a broad range of sources, are selected on the literal mentioning of the theme or title of the issue and show a connection to dressing, wearing, clothes and fashion. Press & Fold, notes on making and doing fashion is a magazine by Hanka van der Voet, designed by Beau Bertens. Press & Fold is a new independent fashion magazine that aims to explore alternative fashion forms and narratives. 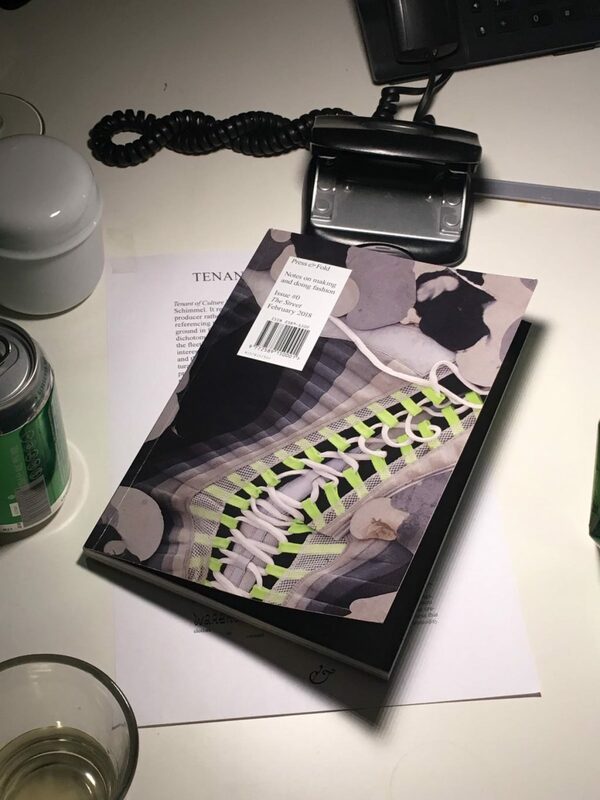 The bi-annual magazine provides a platform for critical fashion practitioners who do not obey the rules the fashion system is currently dictating.